Whilst Bluetooth isn’t as popular as it used to be when it comes to interfacing with computers, there are still a number of devices out there which still utilize Bluetooth for its speed. For example, computer mice and headsets quite often use Bluetooth. As you can probably guess, like most things with computers, a Bluetooth connection is prone to problems, although of course, they aren’t too common. 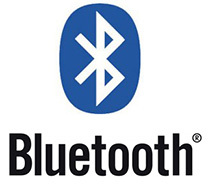 There are a variety of different Bluetooth Errors that can occur. Most of the time the error is simple, and this is the fact that you are unable to connect your Bluetooth device to your computer, no matter how hard you try. So what are Bluetooth driver issues? Well, driver issues are problems with the software installed on your computer which basically tells the operating system what a particular piece of hardware does. In this case, it would be your Bluetooth connection. Since this is a piece of software, like all pieces of software, it is prone to errors from time to time. Thankfully however, the problem is normally very easy to solve. The first thing that you are going to need to do is determine what is actually causing the problem. It could either be down to faulty hardware or a faulty driver. To test whether the hardware is faulty or not you are going to need something else which will hook up to the Bluetooth connection. If this connects then you have a problem with the device that you are trying to connect OR the individual driver for that individual device. You should follow the steps below to get new drivers installed. If this does not work then you will need to replace your hardware. Finding drivers online is actually pretty easy. You are going to need to have the name of your device to hand as well as the model number. You can then search for this online. Important: Make sure that you get the right driver or it could end up causing serious problems with your computer! You will then need to access your control panel, remove the old driver, and then install the new one over the top. This can be quite a complicated process. The way that you go about this will be determined by the operating system that you own. 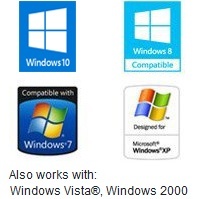 The solution that we suggest is to use a driver update utility such as Driver Turbo. This will find the right drivers for your device automatically. It will even install them for you! This is a completely hassle free method and it should allow you to get the problem solved sooner rather than later! Many professionals use this software, so you know that it is going to be good. © 2019 Driver Turbo. All rights reserved. All third party products, brands or trademarks listed above are the sole property of their respective owner.